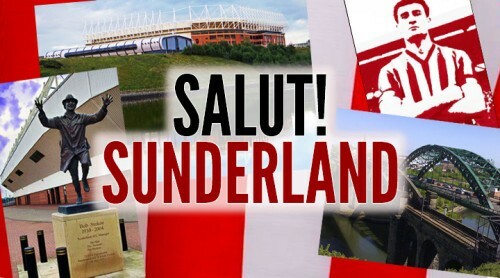 “…my favourite ground after Roker”. Read on for an enthralling reminiscence. Of all the grounds I have visited while following Sunderland, the one that has changed the least is Goodison Park. Two of the four stands are exactly the same as they were I when I first went there in January 1966. The Bullens Road stand (where we are located) still retains its Rokeresque Leitch trellis work and those ever so retro wooden seats, cramped concourses and traditional toilets. And yet, despite those (considerable) drawbacks, I love going there. Everton dub themselves “The People’s Club” in contrast with their upstart neighbours across Stanley Park who are more “The Tourists’ Club.” Firmly rooted in their Everton Valley community, they moved to Goodison from Anfield in1892, thereby facilitating the founding of Liverpool F.C and giving us the benefits of Bill Shankly and Bob Paisley as well as the less obvious ones of Rafa Benitez and Luis Suarez. In his book “The Football Grounds of England and Wales” (written 35 years ago and still an essential part of any serious football followers’ bookshelf) Simon Inglis describes Goodison as “the first major football stadium in England.” Located on a field next to St Domingo’s Church, the Everton committee developed it quickly and improved it by hiring Archibald Leitch to build two double decker stands opposite each other. The Main Stand (demolished and replaced by the triple decker in 1971) was opened in 1909, with the Bullens Road one following in 1926. These two stands typified football architecture in the opening decades of the 20th Century and had an enormous influence on other stadiums that were developing at this time. Both Ibrox, where the Leitch Stand is a listed structure and Roker followed suit. I went for an FA Cup Third Round tie in a season where after a bright start, we were slipping down the league. 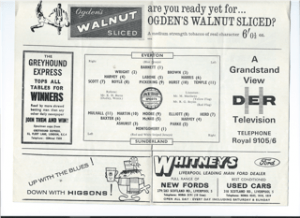 We were sat in 16th position but on a mini-roll, having seen off newly promoted Newcastle United 2-0 thanks to goals from George Herd and John O’Hare and then coming from behind at Old Trafford to take a point in a 1-1 draw, O’Hare rattling the net again. The FA Cup was all that we had left for the season – or so we thought. 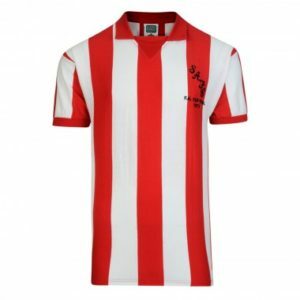 Blackburn Rovers and Northampton Town (both still in Division One, although the context has changed somewhat) looked cast iron certainties to go down, while the Roker faithful hoped that Baxter and newly signed Neil Martin would fire us to glory. As always, those hopes disintegrated as stories began to appear of Baxter’s prodigious drinking feats. My father occasionally played the piano at Wetherall’s Club on The Green and would tell me the next day over breakfast that Slim Jim had been knocking the Bacardi back all night and was still at it as the pater left at 2.00 a.m. I got the feeling that team discipline under Ian McColl was not particularly strong. I travelled on a coach run by Jewitt’s of Spennymoor for this one. Phil Younghusband, now residing somewhere in deepest, darkest Hertfordshire, went with me after a night on the Hubbly Bubbly at the Methodist Youth Club and a dismal journey it turned out to be. It was cold outside and even colder inside the bus as the rudimentary heating system had failed. There was snow along the side of the road, the motorway system reached as far as Preston and there were no personal radios or MP3 players, nobody to text or Instagram and the papers were rubbish. At least one thing hasn’t changed. There was a huge crowd at the game – almost double those who had turned up in November to watch a relatively comfortable Everton win. This time it was different as The Toffees achieved a very comfortable win, taking their first step to Wembley and an FA Cup triumph famous for Mike Trebilcock and a celebrating Evertonian skipping around on the Wembley turf and giving the Met the slip. There were ladies giving out toffees from wicker baskets inside and outside the ground and we all wore Daily Express “hats” which were like slipped over your head like a headband and were in your team colours and had pictures of the players on. There were rosettes on sale with the FA Cup as the centre piece and the Liverpool Echo produced a special souvenir edition. Meanwhile, on the other side of Stanley Park, exactly the same kind of thing was going on (minus the giveaway toffees) as Liverpool played Chelsea. They pulled in 54,907, meaning that 101,990 people watched football within half a mile of each other. You can guarantee that there were no plane loads of Danes or Swedes at either of the two games, that the trains that emptied and filled at Lime Street and the now-closed Exchange stations were for places like Ormskirk and Southport and Huyton rather than Bristol and Lincoln and Plymouth. The police would be wary but unobtrusive and the only stewards to be seen would be those dispensing Higsons or Threlfalls Bitter in the Working Men’s Clubs. And there would be jumpers for goalposts………. Those at Anfield got a better game if not a better result. 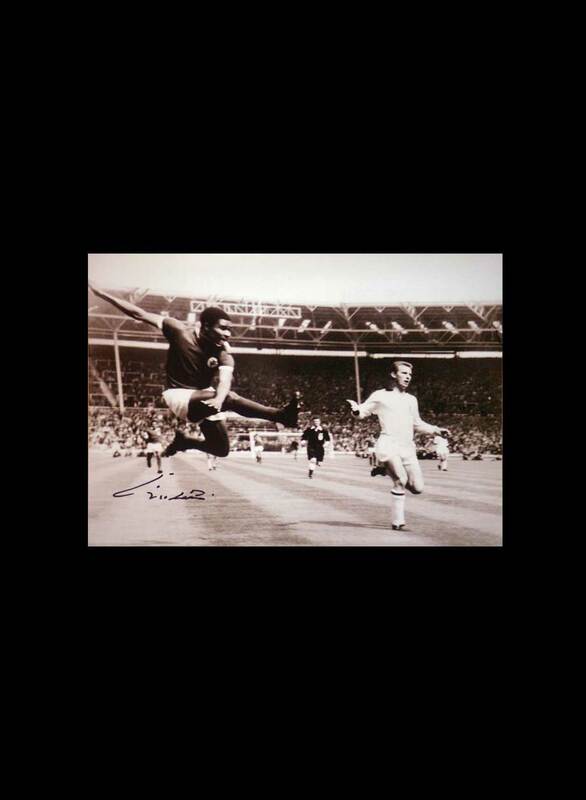 Roger Hunt put the Reds ahead in the second minute only for Peter Osgood to level five minutes later. The Goodison crowd had to wait until the 36th minute before Derek Temple broke the tedium to give the Blues the lead. Chelsea responded to going a goal down by seizing the game. We responded by hiding behind our security blanket and refusing to annoy the Everton defence by actually attacking them. 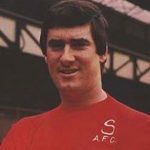 Gary Moore started up front for the third time and was once again on the wrong end of a comfortable victory for the home team, having been beaten 0-3 at Molineux and 1-3 at The Victoria Ground the previous season. As was the FA Cup for us as we trundled back through Kirkby Lonsdale, Sedbergh, Kirkby Stephen, Brough, Bowes, Barnard Castle and West Auckland , before being dropped off at some late hour in Shildon. The Sunday papers were delivered late the next morning. Montgomery; Parke, Ashurst; Harvey, McNab, Baxter; Herd, Elliott, Moore, Martin, Mulhall. West; Wright, Wilson; Gabriel, Labone, Harris; Scott, Young, Pickering, Harvey, Temple. The game was refereed by Ken Burns of Dudley. No prizes for guessing which other FA Cup tie involving Sunderland he officiated. It may be quite a while before I visit Everton again. By that time, the much loved Goodison may well have joined Roker, Highbury, and Belle Vue Consett on the list of “Great Grounds That Are No Longer With Us.” That distinct feel of football clubs being deeply rooted in their communities and surrounded by the people who actually watch them has almost gone as stadiums are built on land that once housed coal mines, docks and farmland. An era is rapidly passing before our eyes. I am pleased that I saw these grounds as they were meant to be seen – particularly Goodison, my favourite ground after Roker. Really captures a great era and underlines a really good historical relationship between Sundeland and Everton. 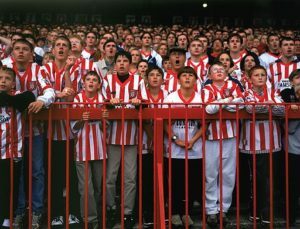 As an Everton supporter, I have always preferred Sunderland to Newcastle and can well remember the Roker Roar. 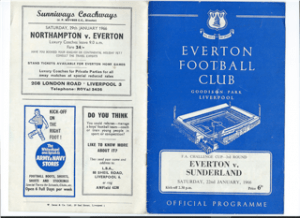 In the Sunderland anthology ‘Black Catalogue’ (2006) Barry Robson writes of working at Wetherell’s and seeing Jim Baxter being carried out in the early hours of Saturday morning yet starring later that day in a 3-1 win over Newcastle in 1966.In the same collection there is also a piece from the Everton fanzine ‘Speke from the Harbour’ making much of the preference for Sunderland over Newcastle as does Paul Daly. Always nice to hear outsiders views of our two clubs.. I remember the season after this, when you were again drawn away to Everton in the League Cup. We were 2-0 up( with two goals from the Golden Vision, Alex Young), and Alan Ball missed a penalty. I ma sure a few of your older supporters will remember that night! I think the closest I ever got to Goodison Park would have been the area around Canada / Huskisson Docks – and you certainly can’t see a game from there. I can however recall the odd unmemorable Everton game in London. But one of those London games – a 0-0 draw no less – WAS memorable. It was one of those games when a young relative unknown stood out from the crowd. This time it was 19 year old Alan Whittle playing on the right wing at Highbury against Arsenal in – believe it or not – an evening League Cup 3rd round tie. 24th September 1969. League Cup 3rd round. Highbury. Gate: 36,102. Arsenal: Malcolm Webster, Peter Simpson, Frank McLintock, Peter Storey, Bob McNab, David Court, Jimmy Robertson, Jon Sammels, George Graham, John Radford, George Armstrong. Everton: Gordon West, Tommy Wright (sub Roger Kenyon), Brian Labone, John Hurst (always wore #10), Sandy Brown, Colin Harvey, Howard Kendall, Alan Whittle, Alan Ball, Joe Royle, John Morrissey. Whittle was very unfortunate in that he always had the tough competition of Jimmy Husband for his position. 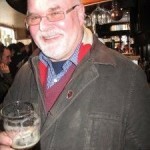 Whittle turned out to be one of life’s “Nearly men”. He nearly had a great career at Everton; he nearly won England caps; he nearly won this particular game for Everton. 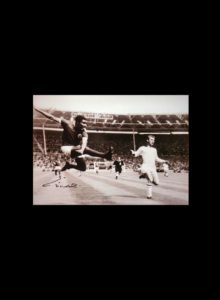 With class midfielders Howard Kendall, Alan Ball, and Colin Harvey alongside him he received plenty of the ball and he always had the beating of his immediate opponent Bobby McNab (ex-Huddersfield). 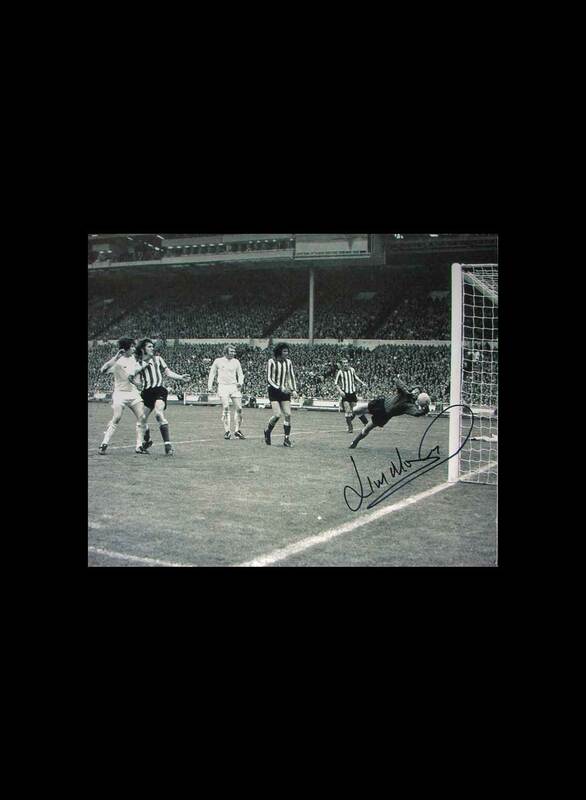 In the following week, Everton won the replay at Goodison 1-0 with a goal from Howard Kendall. Perhaps significantly Husband played on the right wing and Whittle was not on the team sheet. Arsenal had Pat Rice and Terry Neill back in defence. I don’t know why Whittle never quite realised his full potential. Someone else may remember him better than I do. Maybe wasteful of the ball after beating his man. Maybe didn’t work hard enough – after all most of these early team formations – especially 4-3-3 – were simply ways of getting more work out of the wingers. Who knows. Maybe Johnny Morrissey on the other wing was more like what Everton expected of a winger. He certainly had a very different approach to the game.